Cabin fever…..oh yes, it sinks in very heavily come March. 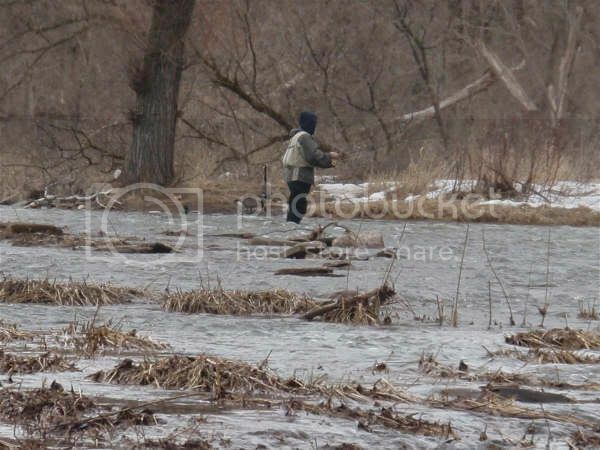 Most areas in Ontario are closed to fishing this time of year, but there are a select few that are open year round for migratory steelhead and other species. It had been a few months since I was last out……sinceNew Years Eve in fact! I really needed to get out and get the arms and shoulders working again. A couple of friends and myself decided on a location, and headed first thing in the morning to the river. The water had a beautiful green tinge to it, and it was running at a perfect level tosneak up on a few steelhead. 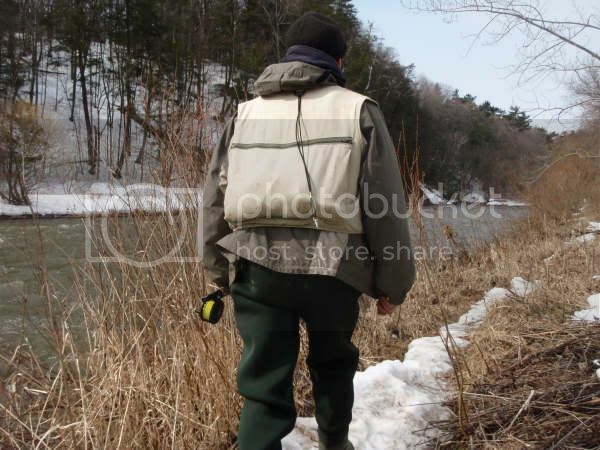 Initially, I had been dead drifting a stonefly pattern and had one take……which I very quickly lost in the fast water. I was pleased though…..first trip of the year and hooked a nice steelhead within the first hour……I wasn’t going to complain!! As the day went on, the fishing was rather slow……the sun was beating down on the river now, and many of the fish we had seen earlier had disappeared into some of the deeper holes. It was at that point that I decided to tie on a small bead head nymph with a single, bright orange glow bug made of “Mcfly Foam”, and about feet above that an indicator to make things a little easier. took off like a bolt of lightning downstream. Amidst all this, as I fumbled with the drag on the reel, I found myself fighting a massive knot in the fly line. I had so hastily grabbed my gear that I hadn’t even checked to see that everything was in order. My last trip with this reel would have been salmon fishing last fall……and the know was probably caused by the last salmon I hook after it peeled out line and caused a terrible mess within the reel that I failed to notice. manouver the fish towards shore. After a wonderful battle and many long runs…Tim landed her for me. 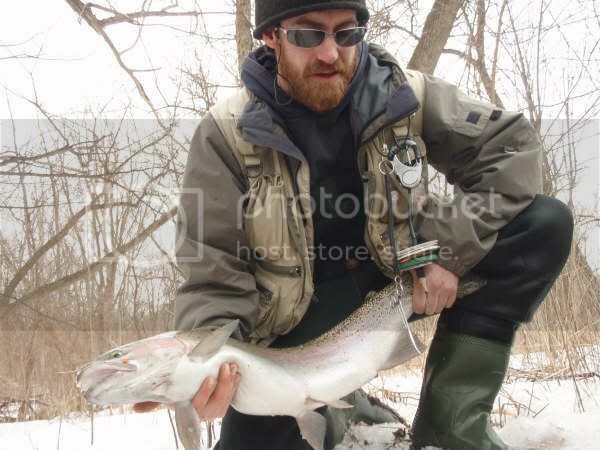 A beautiful shiny steelhead to start the season.